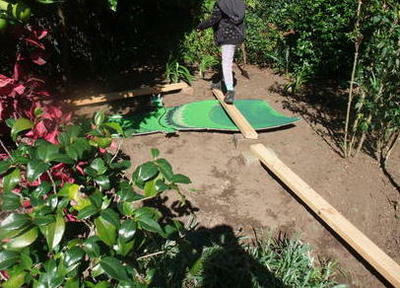 This is a great way to keep the kids entertained in the backyard. Also a great prop for a pirate party. 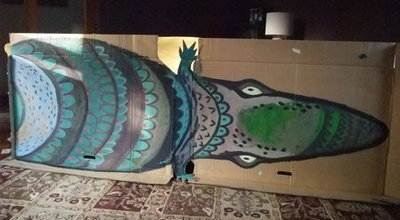 Use leftover cardboard packaging and draw out a large crocodile with black marker pen on the inside part of the box. Paint with your first layer of paints. 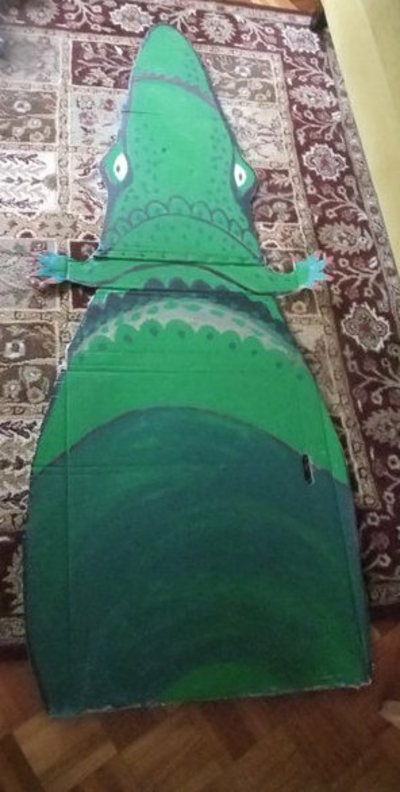 Paint with your second layer of paints and cut out your crocodile. 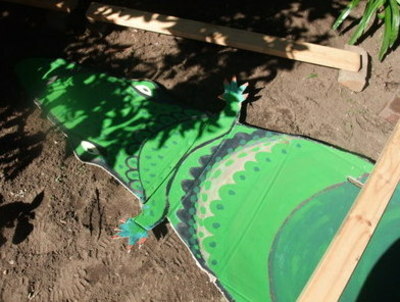 Find a spot in your garden to lay out your croc and add planks on bricks. Send the kids out to walk the plank!